The cherry blossom is, by far, Japan’s favorite flower, and with good reason. The pink petals of the sakuraarrive as winter finally begins to fade, captivating the entire country with their beauty. But they aren’t the only beautiful flowers in Japan, as photographer and Japanese Twitter user puraten10 (@puraten10_japan) recently proved! puraten10 visited Uminonakamichi Seaside Park, in Fukuoka, last weekend and his timing couldn’t have been better. 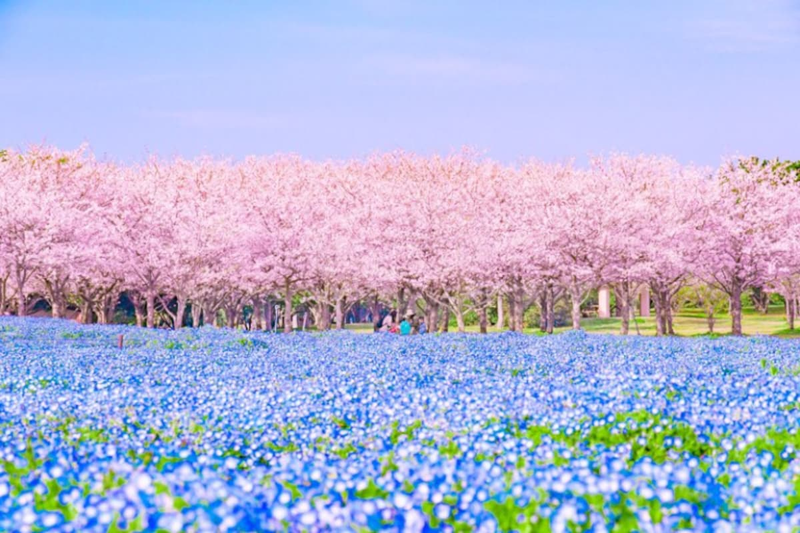 Not only were the cherry blossoms in full bloom, the park’s fields of Nemophila flowers had also begun to open, adding a second burst of color.